What’s 100 feet long, 11 feet wide and nearly 6 feet tall? MACOMB COUNTY Public Works Office employees are calling it “the fatberg,” a collection of oils, grease, fats and paper towels found in a county sewage line, the Detroit Free Press reported. The county is putting parts of “the fatberg” on display to warn residents not to throw grease and similar items down the drain. 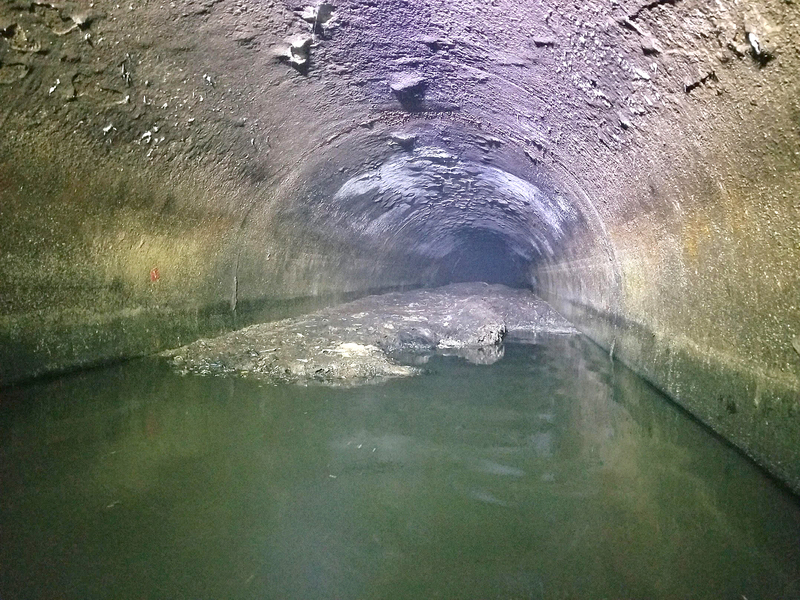 A similar-sized clog was found in Baltimore and the University of Michigan experienced a similar situation earlier this year. LOS ANGELES COUNTY has launched a program, L.A. Found, to help locate missing people with autism, Alzheimer’s disease or dementia who could wander off, the Los Angeles Times reported. Family members and caretakers can apply for a bracelet that can be tracked through radio frequency by sheriff’s deputies. Once approved, they can purchase a bracelet at a cost of $325 from Project Lifesaver, a nonprofit that works with local governments. The bracelet emits a signal that can be picked up within a mile on the ground and within two to five miles from a helicopter. The ARAPAHOE COUNTY sheriff recently warned residents of a scam involving fake parking tickets, FOX-TV recently reported. A resident contacted the sheriff’s office after noticing that the name of a local city was misspelled on the ticket. “While this does not appear to be a direct attempt to defraud someone financially, we do take the production of fraudulent tickets seriously and are actively investigating this case,” the sheriff’s office said. • MANATEE COUNTY has created a website so residents can check local traffic on live feeds from 200 cameras set up on local roads, the Bradenton Herald reported. Residents can check it out by clicking on a blue camera icon on a map. A team at the county’s Traffic Management Center reports any traffic issues they discover. Users can also search the map using a bar at the top of the map if they’re looking for a specific road. The Florida Department of Transportation funded the Smart Traffic website with a $300,000 grant, which covered the full cost of the project. Capillo said his team was also able to negotiate a free year of site maintenance. The free service officially launched with a demo during a Board of County Commissioners meeting. If you have an item for News From, please email cban@naco.org or mbarton@naco.org. • Is your county in need of teachers this school year? You might want to learn a thing or two from DUVAL COUNTY, where they are offering a program that allows people without teaching certification to potentially become an elementary school teacher. The “Ready, Set, Teach!” program helps prepare interested candidates for the Florida Teacher Certification Exam. Passing the exam makes a candidate eligible for hire at any county public school. The county then helps candidates obtain professional certification within three years. Residents and businesses in COBB COUNTY can register with county police if they have a video surveillance system that could be used to help fight crime. The program is not intended for active surveillance; police use the video to help apprehend suspects in a crime. The program appears to be working: A suspect was apprehended in a string of armed robberies with the help of a private surveillance system. DAKOTA COUNTY is participating in an effort to stem the decline of the monarch butterfly population. The county parks department raised wild-caught monarch caterpillars and released the adult butterflies to collect data on migration. Over the summer, 51 monarchs were released from the park’s indoor rearing operation, the Dakota County Tribune reported. Once the butterflies are ready to fly, staff place a small sticker with a unique number on the outside of their hind wing. To date, more than 1.5 million butterflies have been tagged with more than 13,000 recovered. Voters in CLARK COUNTY cities will have their choice of polling places, after the Board of Commissioners open cross-jurisdictional voter centers in the cities of Las Vegas, Henderson, North Las Vegas and Boulder City. Voters can cast their ballots in voting centers in any of those cities, the Las Vegas Review Journal reported. The ONEIDA-HERKIMER Solid Waste Authority is planning to recycle food waste into energy, which could account for nearly 14 percent of the 169,000 tons of municipal solid waste accepted to the landfill annually. Construction will begin in October on a 4,550-square-foot addition to one of the authority’s buildings. The agency is offering a tipping fee of $20 less per ton of food scraps than the current $62 rate to restaurants, colleges, health facilities and other large food waste generators. The Food2Energy project will cost $3.4 million and have equipment that separates scraps from wrappers, packaging and utensils. The food would be turned into a “slurry,” the Observer-Dispatch reported, which would be fed into Oneida County’s adjacent anaerobic digester to transform again into biogas. Unpaid child support could add up to felony charges, but MEDINA COUNTY’s Back on Track program is trying to cut down on that and boost payments. If a parent doesn’t pay for a quarter of the time — 26 out of 104 weeks — they’ll be charged with non-support, but partners in the county job and family services department, sheriff’s department and prosecutor’s office will call a meeting to create a payment plan for parents, with job assistance if the parent isn’t employed, News 5 Cleveland reported. From October 2017 to June 2018, support payments have increased by $730,000 over the previous year. • A surge in inmates due to the opioid crisis is prompting HENRICO COUNTY to consider building an additional jail facility. The Richmond Times-Dispatch reports that county officials are eyeing a facility that could house between 200 and 250 inmates serving alternative sentencing arrangements. During construction, the county could house inmates recovering from opioid addiction in a temporary facility. • STAFFORD COUNTY is trying to relax a county ordinance that effectively blocked a Muslim cemetery. The county has required cemeteries and private wells to be more than 900 feet apart, but the Board of Supervisors is considering an exemption if soil evaluations found “no reasonable likelihood” that a proposed cemetery would contaminate nearby wells or may do away with the ordinance altogether, the Free Lance Star reported. The U.S. Department of Justice announced in April it was launching an investigation into how the county’s zoning law treats religious uses after the All Muslim Association of America learned the ordinance would prohibit the organization’s planned cemetery. 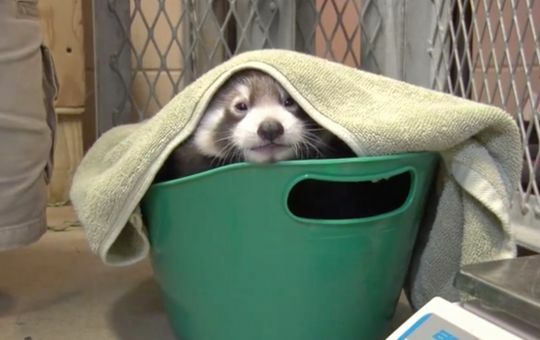 A red panda peers out from under a towel at the MILWAUKEE COUNTY Zoo Sept. 13. Named “Lily” for the veterinarian resident who discovered her on ultrasound, she was the first red panda to be born at the zoo. The panda was born June 6 to “Dr. Erin Curry,” a 3-year-old mother from the Cincinnati Zoo, and father Dash, a 6-year-old from a zoo in Quebec, Canada. The cubs are blind for the first 21 to 31 days following birth; red panda mothers keep their babies hidden in nests for the first two to three months before teaching them how to climb and hunt. Photo courtesy of Milwaukee County Zoo.